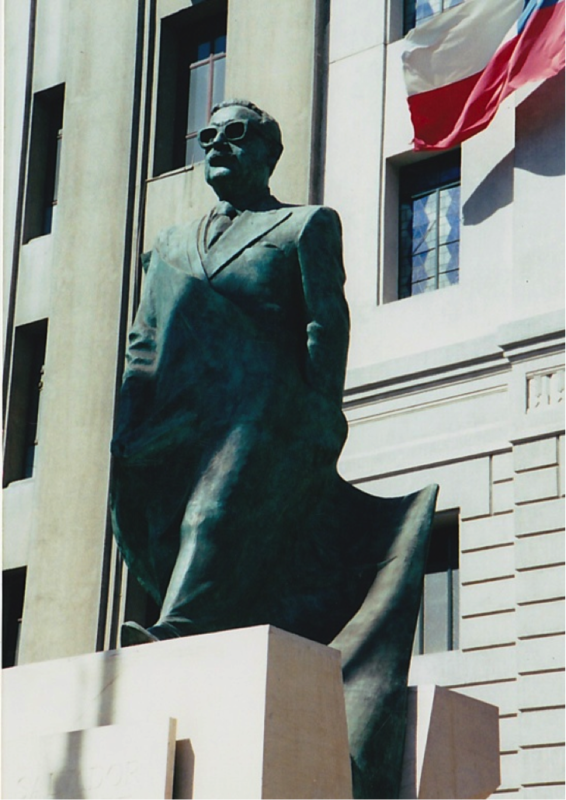 Statue of President Salvador Allende, Santiago Chile. 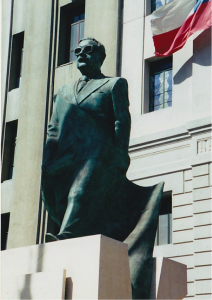 Allende was overthrown in a military coup on September 11, 1973. Photograph by the author. This quote is referring to Chile’s 9/11, an event that happened almost three decades before planes crashed into the Pentagon, the Twin Towers, and an empty field in Pennsylvania. It happened in 1973, when Augusto Pinochet overthrew the democratically elected president Salvador Allende in a bloody military coup on September 11. The crackdown began immediately, and this legacy of violence still deeply divides Chile today. The disappeared, literally thousands of people, were kidnapped, detained in secret centers, routinely tortured, and executed. Some of them, like Allende himself, were Marxists. In the logic of these half-said statements, human rights become completely relative. It is bad to torture the innocent, but it is okay, or at least less bad, to torture the guilty. Guilt on the part of the detainees erases any wrongdoing on the part of the United States. As a result of this logic, the United States no longer has to defend its actions; it is the detainees who must prove that they are innocent and deserve to have their human rights respected. It is not just supporters of U.S. policies in Guantánamo that fall into this relativistic thinking. Some vocal critics of the abuses at Guantánamo have emphatically stated that the people tortured there were “known-to-be-innocent.” This focus on innocence implies that torture is more immoral if the victim is innocent, and that performing the same actions on a guilty person would be less objectionable. Thus the debate over the innocence or guilt of the torturers is hijacked into a debate over the innocence or guilt of those detained and tortured. In both the post-9/11 United States and post-9/11 Chile, the question of state guilt is sidestepped, forgotten, hidden behind a host of other distracting questions that fundamentally undermine the notion of universal human rights: Were the disappeared really communists? Were the detainees really terrorists? Were they bad, dangerous people? Did they deserve it? When we are sidetracked by these questions, we are leaving a larger, more important issue uninterrogated: Regardless of guilt or innocence, should the state have the right to torture? University of California, Riverside is participating in the Guantánamo Public Memory Project‘s National Dialogue and Traveling Exhibit. 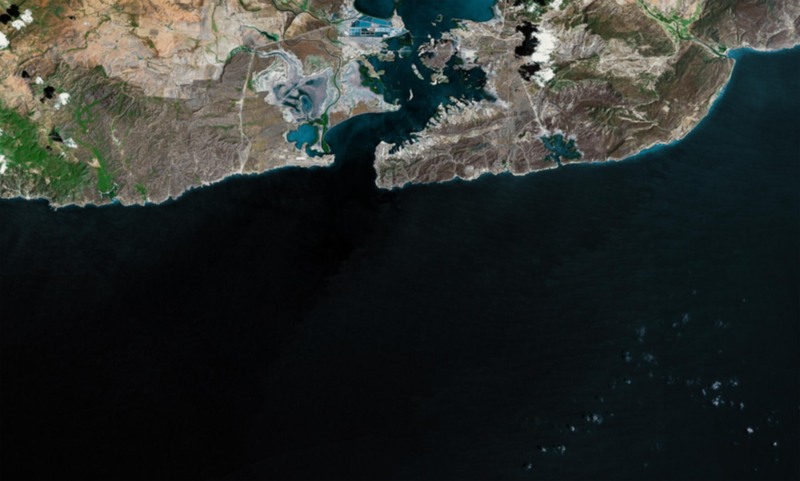 Opening at NYU’s Kimmel Center for University Life Windows Gallery in December 2012 and traveling to 9 sites (and counting) across the country through at least 2014, the exhibit will explore GTMO’s history from US occupation in 1898 to today’s debates and visions for its future. The exhibit is being developed through a unique collaboration among a growing number of universities as a dialogue among their students, communities, and people with first-hand experience at GTMO. You raise a difficult question, which I think highlights how complicated the issues surrounding Guantánamo are and in developing this memory project. There are so many, as you say “half-said statements,” regarding Guantánamo, and in doing research for this project, many individuals prefer to avoid answering these types of questions about state authority. Furthermore, I do not think there is a universal answer to your question of “should the state have the right to torture.” To Americans, the detainees were terrorists. To those in support of these men in the other side of the world, they were not terrorists but freedom fighters. Thus, I find that this debate will continue on, as history shows us. This is a compelling post, It is important to draw these parallels as history is riddled with examples such as these. What allows for these types of human rights violations is the fear generated against specific populations to justify supposedly isolated “extreme cases”. I agree that the underlying issue is that of torture, as determinations of good and evil are necessarily subjective and usually serve the group who has the power to make the designation. Your essay brings to light the slippery slope of ascribing evil to a certain school of thought. As you mention, your dinner party companion implied that it was okay for Pinochet’s government to torture and kill “communists,” because communists are dangerous. In American liberal vernacular today, communism is not such a dirty word, so it’s easy to be appalled by what that man said. “Terrorist,” though, is touchier. No one who supports freedom and safety could support terrorism, but the word is so often conflated with “Arab” and “Muslim” that to wield it as a weapon against guilt is equally dangerous as throwing around “Communist.” You’re right to question whether guilt merits torture; we can also question what “guilt” looks like, exactly. As you write, even activists who proclaim that so many detainees in Guantánamo are innocent implicitly suggest that they would not be speaking out for guilty men. It all comes back to GTMO’s “exceptional” status. Supposedly, these men have committed “exceptional” crimes—but in 1970s Chile, Pinochet’s supporters likely said the same thing about Allende’s government. Anything can become “exceptional” if the emotional response to it is strong enough. But if torture is outlawed by the U.S. constitution, then that rule should apply across the board, whether the guilty party was a terrorist or a communist. Otherwise, “exceptionalism” can stretch far enough to encompass anyone who steps outside prescribed boundaries. The comparison made between Pinochet’s government crackdown and subsequent disappearances in the 1970’s and the current detainment process at Guantanamo however contrasting, due to the difference between a government detaining its own citizens versus those of other countries is still very appropriate. It seems as though the public opinion in Chile is very similar to the way Americans view the detainment of “terrorists” at Guantanamo as dangerous and therefor undeserving of universal human rights. So this becomes not a question of whether or not the government should detain and potentially torture prisoners because legally the Geneva Convention should clearly make torture not possible, instead the question should be is the public willing to let their government get away with such actions and treat the matter as if guilt warrants torture. The public needs to be willing to make individuals and the government accountable for their actions. Whether or not it is right or justifiable to torture should be discussed and those responsible should be brought to light. It starts with public opinion and a want for discourse however there is not enough momentum currently to make the U.S. governments actions in Guantanamo more transparent. This is a question of human rights that requires more thought beyond an individual’s guilt or innocence.